These products are impressive multi-tasking wonder, helping your skin in a variety of ways. The Multi-Vitamin Collection provides an exciting and comprehensive list of ingredients so that the skin reaps the most of their antioxidant and anti-inflammatory properties. Complete with the highly efficient 24K Multi-Vitamin Peeling + Mandelic Acid, this collection is the perfect everyday companion to any skin care and makeup regimen. Use daily, applying a small amount to freshly cleansed skin, massaging over face and neck until absorbed. 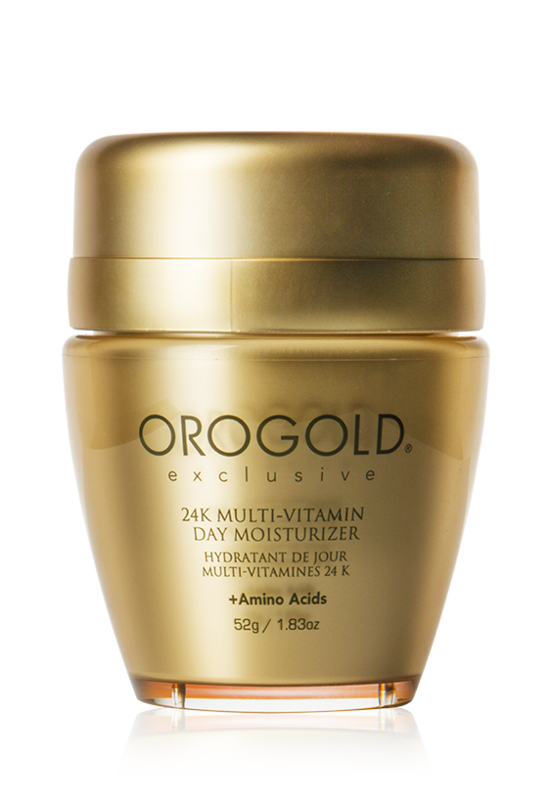 For optimal results, use in conjunction with 24K Multi-Vitamin Night Nourishment + Retinol. 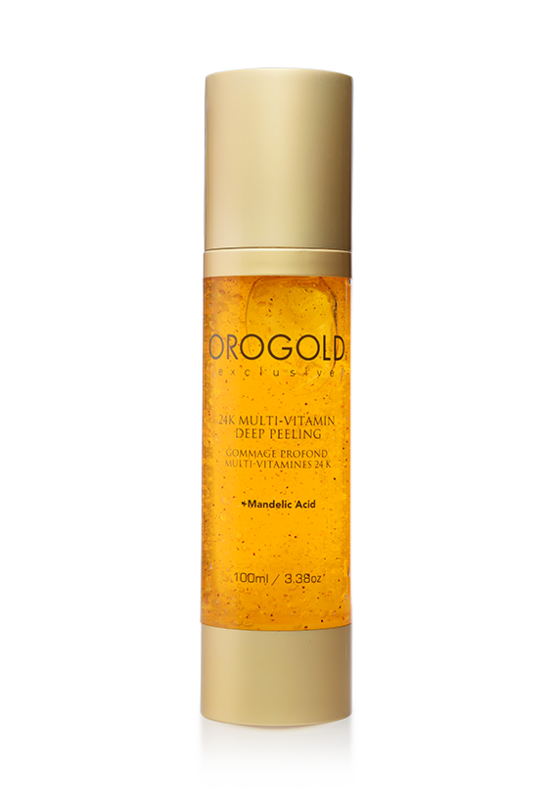 Restore the look and feel of smooth, supple youthfulness to your skin with OROGOLD 24K Multi-Vitamin Day Moisturizer + Amino Acid. Now with Amino Acids blended into its rich formulation of Shea Butter and Vitamins A, C & E, this essential anti-aging cream helps to deliver lush moisture to your skin while diminishing the appearance of fine lines, wrinkles and sallowness, giving new vibrancy to your complexion. Use nightly on cleansed face and neck, massaging a small amount onto your skin until fully absorbed. For optimal results, use in conjunction with the 24K Multi-Vitamin Day Moisturizer + Amino Acids. 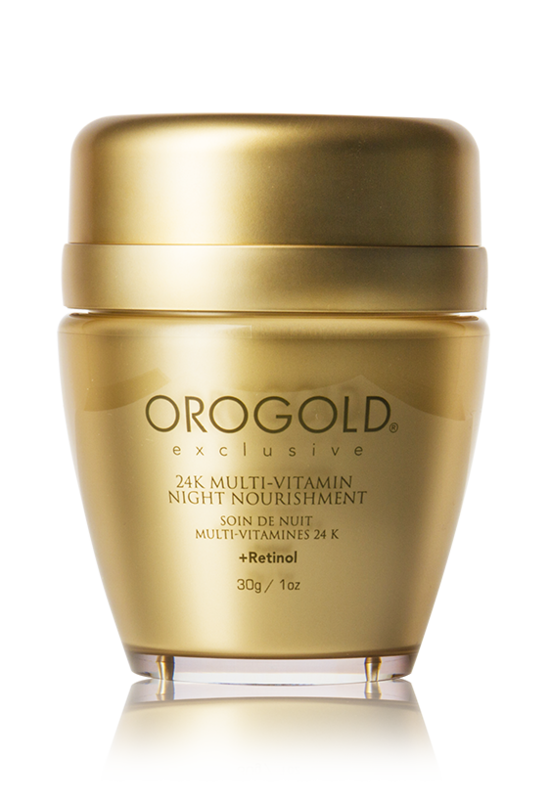 Smooth, soothe and refine the look and feel of maturing skin while you sleep with OROGOLD 24K Multi-Vitamin Night Nourishment + Retinol. Infused with the powerful wrinkle-refining effects of Retinol, this sumptuous cream delivers a rich blend of anti-aging vitamins, minerals and botanical extracts to your skin while helping to relieve stress and dryness, leaving you with a more youthfully supple and radiantly refreshed appearance to your complexion.